We’ve all been there. You are driving home and all of the sudden your check engine light comes on. This can be a major frustration for a car owner. Especially, if your car shows no symptoms. A lot of people tend to ignore the check engine light, because a friend might have told them its normal, or that they fear that it will mean an expensive trip to the mechanic. At our auto repair shop in Yonkers, we have heard every excuse and seen every problem. We are here to tell you that a check engine light does not mean an immediate emergency, unless your car is making weird noises or giving off smoke. In fact it can be a very simple and inexpensive fix, and you may even be able to put it off for a week or two. However, you must have it checked by a professional mechanic, as it could lead to bigger problems and costly repairs. Here we will explain what a check engine light is, and some of its most common causes. So we invite you to fix your check engine light in Yonkers NY. 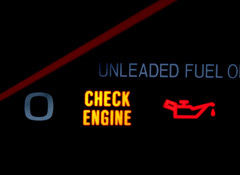 The check engine light otherwise known as the “MIL” (Malfunction Indicator Lamp), deals with the sensors that monitor your cars emissions system. Which is composed of various car parts. If your emission system is faulty you could be losing gas mileage, begin stalling, or even worse have a total breakdown. In many states you will also not pass your State Inspection if your check engine light is on. So it is important to not ignore it. One cause of a check engine light maybe a loose or faulty gas cap. You might not think something as simple as gas cap would signal a check engine light, but it can. If your gas cap is cracked or does not fit right anymore you are releasing gas vapors. 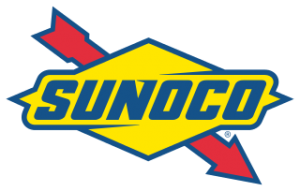 In turn you will be losing gas mileage and decreasing your cars performance. Even though it is not an emergency, gas caps for most cars are cheap and inexpensive, and can save you a lot of money at the pump. Another cause could be worn out spark plugs. This is usually another simple and inexpensive fix. However, even though this fix is simple and inexpensive it is best to visit a mechanic immediately, as this can lead to a failed catalytic converter. A failed catalytic converter can be very costly and can run you over $2000 to repair. So it is important to not neglect this. If you feel any abnormality while accelerating in your car it can possibly be your spark plugs. A good rule to remember is that spark plugs generally last about 25,000 to 30,000 miles. Mass Airflow Sensors are another common culprit of a check engine light, and are relatively easy to fix. This sensor does not have to fail if you visit your mechanic, and do regular maintenance on your car. A bad one will cause your car to begin stalling, lose gas mileage, and lead to an overall great reduction in your cars performance. Another sensor on our list is the Oxygen Sensor. This sensor is as important as replacing your spark plugs. It can also lead to a broken catalytic converter which will end up costing you a lot of unnecessary expense. Which is why as mechanics we cannot stress enough the importance of regular maintenance, tune-ups, and check-ups. A car is like your body you have to take care of it in order to keep it functioning properly, and avoid future problems. One of your worst case scenarios in case you haven’t guessed by now, would be a broken catalytic converter. Unfortunately, this is a costly repair when dealing with the check engine light, and in most cases could have been avoided. Once this happens your car will die if not replaced immediately. Again this is why it is important to visit your mechanic, and do regular maintenance on your automobiles. So do your car and wallet a favor and visit for a FREE CODE SCAN. There are many other possible causes for a check engine light in fact there are too many to mention, these are just a few. If you are local, please feel free to stop by our auto repair shop in Yonkers, NY. Our master mechanics will gladly diagnose and fix any problem you might have. Our service station is equipped with all the tools and diagnostic equipment needed. Let us fix, or help you prevent your automotive problems before they start. Call us to schedule an appointment for a FREE CODE SCAN at (914)237-1571.